Have you found Work-Life Balance: where you can give 100% at work, and still wrap up the day with enough grit and grin to be fully present for your loved ones and home duties? Learn tips and techniques to stay energized and prioritize so you can give your best in both your professional and personal life. Strategies shared in this session will help you make an impact in the workplace without forgoing a balanced, fulfilling personal life. Plan strategically for long-term impact professionally and personally. Determine what can be delegated or declined, taking into consideration your time, talents and limitations. Characterize wellness in your own terms, defining your fullest potential and weighing the risks of imbalance among various aspects of wellness. Demonstrate planning strategies to patients and clients. Sohailla Digsby, RDN, LD, CPT, is a registered dietitian, ACE-certified fitness pro, author and national speaker. Whether she’s writing, presenting at conventions around the country, teaching fitness classes, or developing wellness programs, Sohailla loves to motivate people to be their personal best. Sohailla is the Founder of Best Body Nutrition & Fitness – directing the Best Body Countdown and training facilitators to run her 8-week lifestyle change program around the US. 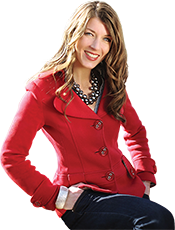 She also runs a year-round wellness membership site, and offers a course on Self-Publishing for RDs. She and her husband of 20 years direct a busy household of three young world-changers in Evans, Georgia. Sohailla is the recipient of several awards, including the 2018 Alumni of the Year award for her internship, the 2016 SCW Presenter of the Year Award, the Georgia Academy’s Distinguished Service in Media Award in 2014. She has recently published her third book: the Priority Planner & Wellness Log to go along with her Best Body Cookbook & Menu Plan and the Countdown to Your Best Body Success Journal. Her next book, How to Eat Sugar, will be available soon! Sohailla Digsby, RDN, LD, CPT, has no relevant disclosures to report. She has certified that no conflict of interest exists for this program. View our disclosure policy.